Do Rhodesians really never die? The answer is for you to find out, with the first set of Rhodesian Brushstroke leggings for the ladies. 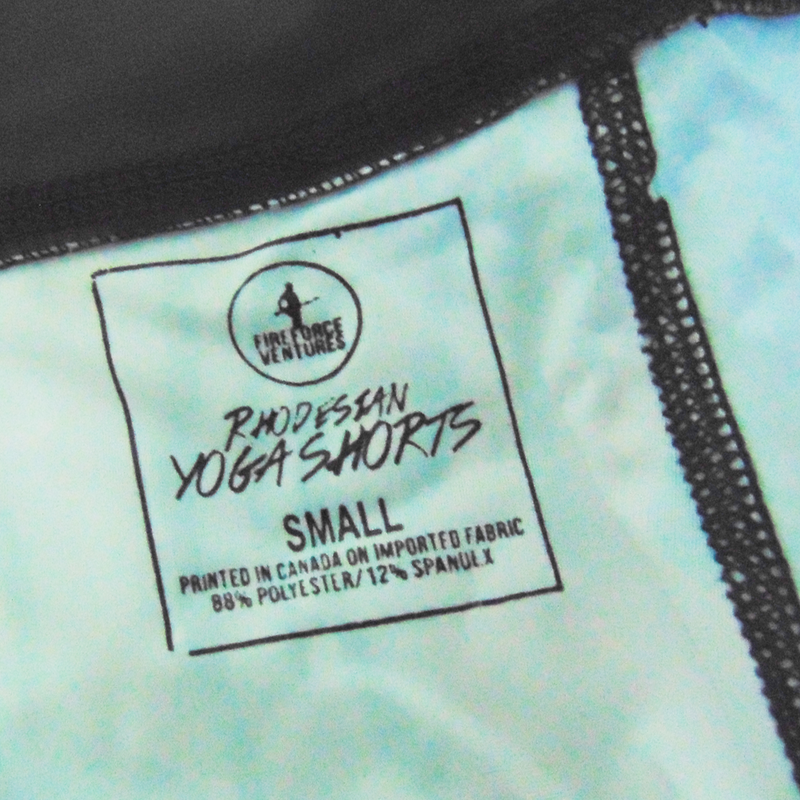 Sublimated on 88% polyester, and 12% spandex right here in Canada, these yoga shorts are one hell of a fashion statement, and will put fear into the heart of any communist that happens to cross your path. They feature an internal phone pocket, and a durable "overlook" style stitch. Important Note: These are short-shorts, as short-shorts are intended to be and run a bit tight, so it is recommended that ladies go up a size when ordering!